What does RARE stand for? RARE stands for "Rapid Acquisition with Relaxation Enhancement (MRI technique)"
How to abbreviate "Rapid Acquisition with Relaxation Enhancement (MRI technique)"? What is the meaning of RARE abbreviation? 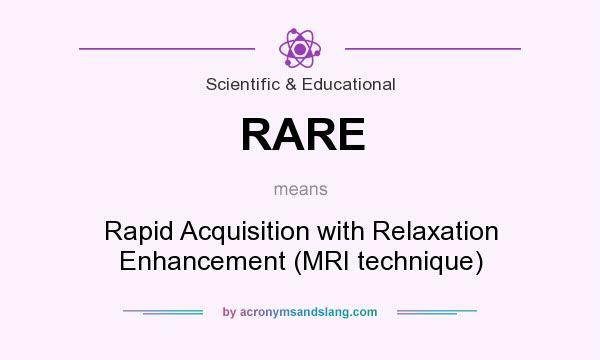 The meaning of RARE abbreviation is "Rapid Acquisition with Relaxation Enhancement (MRI technique)"
RARE as abbreviation means "Rapid Acquisition with Relaxation Enhancement (MRI technique)"